Magellan GPS Mount. Magellan Roadmate Mount. Magellan Maestro Mount. 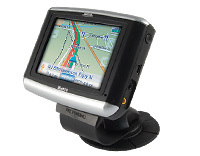 Arkon offers 22 different car mount solutions, all compatible with the Magellan portable navigation GPS devices. No other manufacturer or supplier offers as many high quality mounting solutions for your Magellan GPS. Arkon's Dual T mounting pattern is standard on the Magellan Maestro portable navigation devices and compatible with the Magellan RoadMate devices when used with the Dual T quick release adapter plate, model AP016 (sold separately). Arkon offers a complete selection of high quality car mounts for Magellan GPS. The DUAL T-SLOT PATTERN is featured on many RoadMate and Maestro devices. Newer Magellan GPS devices feature a SINGLE SLOT PATTERN (shown above right). * Those shown in RED use the APMM300 included in All bundles shown. All others use the DUAL T-TAB pedestal without the adapter plate. * RoadMate 700 and 800 users. ARKON adapter plate AP016 is required. (not included in MM3xx Series Bundles). See below for ordering instructions. Magellan, RoadMate, Triton, Crossover GPS, and Maestro are trademarks or brand names of Magellan Navigation, Inc. Compatible with most vehicles Compatible with most vehicles Mount your Magellan Maestro, Magellan RoadMate, HP iPAQ portable GPS, Iphone, Blackberry etc in your car's cup holder opening with Arkon's GN033-SBH mount. This mount solution is compatible with ANY devices or cradles that use ARKON's DUAL T SLOT pattern. Innovative design allows you to remove top portion of the mount, thereby leaving just the adhesive base on the dash. This feature may help prevent theft as your device is not readily visible. Central to the design of Arkon's new GN032-SBH handlebar mount is the compatibility with bicycle and motorcycle sized handlebars. 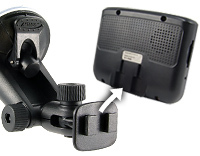 Ideal for use with portable GPS and Phone devices that use Arkon's Dual T slot pattern For use with Vehicle Specific Mounts (VSM) offered by other manufacturers such as ProClip, Brodit, ProFit, and Panavise.